Photo of a Giant "New York Rat"
Analysis: This image of a man holding a dead rat the size of a small dog circulated via Facebook in January 2016. The caption read, simply, "New York rats. And yes it's real." But while the photo may, in fact, be authentic (it appears to be, though I haven't yet been able to nail down its origin), it probably wasn't taken in New York City, it was definitely not taken in 2016 and the pictured rodent is emphatically not a typical "New York rat." 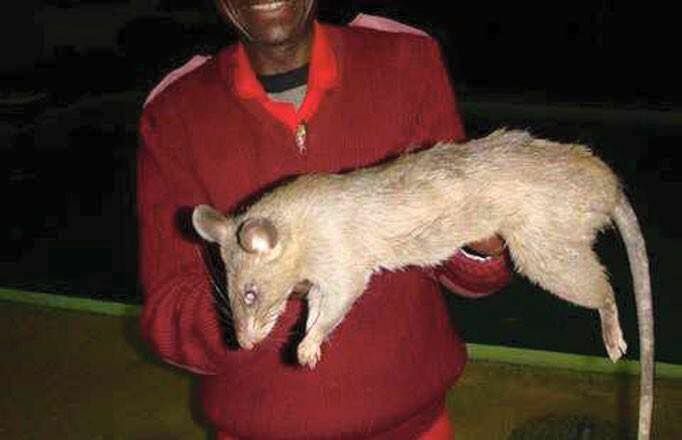 To the contrary, it appears to be a giant Gambian pouched rat, specimens of which can weigh more than 3 pounds and grow to an astounding 18 inches long (excluding tail). They're mostly found in sub-Saharan Africa, though they exist elsewhere, including the Florida Keys, as an invasive species. According to Scientific American, there were unconfirmed reports of very large rats — possibly giant pouched rats — wandering New York City streets after Hurricane Sandy in 2012. By comparison, the ordinary brown rat (aka Norway rat), the type most commonly found in New York City, typically grows no larger than 10 inches long and weighs less than a pound. Even so, rats have been legend fodder for New Yorkers since time immemorial. It used to be commonly said and believed, for example, that rats outnumber people in New York City. No so, according to a statistician who studied the available data and concluded there are probably around 2 million rats living in New York City at any given time, while the human population is around 8 million. As small a comfort as it may seem, that means human outnumber rats by 4 to 1. In October 2014, it was used to illustrate a news story out of China claiming that "a freakishly large rat" supposedly "terrorizing" Hunan villagers had been caught and cooked for supper by a group of local farmers. In March 2013, it was used to illustrate a news story out of Iran claiming that snipers had been deployed in Tehran to deal with giant "mutant" rats rampaging through the city. In June 2011, it was used by the British tabloid The Sun to illustrate a news story claiming that giant pouched rats were attacking and killing human babies in the Soweto township of South Africa. The earliest online use of the image I've found (so far) was in a humorous blog post published in October 2009: Giant Sewer Rat Mistaken for Chihuahua by Tourists. 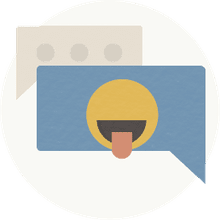 The story about a sewer rat mistaken for a chihuahua or other small dog by tourists is another well known rodent urban legend, "The Mexican Pet." Yet another is the tale of Richard Gere and the Gerbil, which, if true, would give us cause to doubt Mr. Gere's Buddhist credentials — but we have no reason to think it's anything but false. An email rumor dating from 2005 purported to prove that a Chinese restaurant in Atlanta was caught cooking and serving rat meat to its unsuspecting customers and forced to close its doors. There were no media reports to back up these accusations. Is This the World's Biggest Rat? Can This Humongous Spider Possibly Be Real? Is That Raccoon Actually Holding a Kitten in Its Arms? Can a Floridian Rattlesnake Reach 15 Feet and Weigh 170 Pounds? Was a Rattlesnake Over 6 Feet Long Killed in Texas?